Every day you are sitting at your cubicle from 9am to 5pm and do you feel that you cannot get enough work done? Don’t worry! You are not alone. Many people complain that they are not productive enough during their workday. As a result, they work overtime in order to finish everything by the deadline. However, by doing small changes to your daily routine, you can increase your performance and use your time more effectively. Below are some useful tips which can help you stay more focused at work. Stay Away from Social Media: You should discipline yourself not to check your social media sites every time when something pops-up. This includes checking them from your mobile phone as well. Even if you only want to scan your news feed, you will probably see something that interests you and as a result, you will stay in that social media site longer than you think. 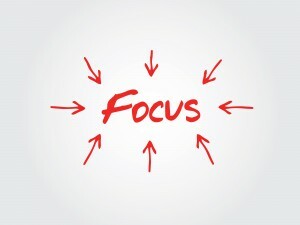 As a result, by the time you decide to get back to work, you will need some time to refocus on that work. Therefore, don’t waste your time and check your social media accounts only on your breaks. Stop Checking Your Emails Randomly: The email message that pops-up on your computer screen can create urgency for many to check their inboxes constantly. Checking your emails frequently or the email pop-up on your computer screen can distract you. Unless you are truly waiting for an important email, you should schedule specific times to check your emails such as in the morning, after lunch or in the afternoon. The same holds for your smart phone messages and voicemails as well. Make Sure Your Desk is Clean and Organized: It is difficult to concentrate when your desk is full of papers, folders and magazines. Therefore, you should have a storage system in place and archive your papers and files in shelves or in drawers. On your desk, you should only keep the items that you really need at that time. You can also keep some water and snacks to keep your stomach full and happy! Take a Short Break Every Hour: According to a study by Gao (1990) and Floru and Cail (1987), performance starts to deteriorate after 50-60 minutes of continuous work. Therefore, taking a short 10 minute break every hour will help you clear your mind and prevent you from getting bored. As a result; after the break, you can continue your work with more performance and this increases your efficiency. Want a China-focused Career? Stay in the US.